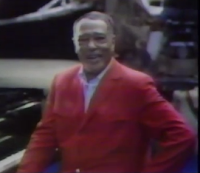 This rare video clip is from ABC News Apollo 11 News Coverage on July 19, 1969, and begins with anchor Frank Reynolds briefly discussing Soviet lunar operations before introducing a clip from April 12, 1961, when Soviet Cosmonaut Yuri Gagarian became the first man in space. ABC Science Editor Jules Bergman narrates the 1961 segment, when American self-confidence was shaken by the Soviet triumph. Of particular interest here is the Soviet animation of their own plan to go to the moon, already planned in 1961. America would eventually get there first, but in 1961, with Soviet post-war strength at an all-time high, it very much looked like the hammer and sickle would be planted in lunar soil before the stars and stripes. Taxi Driver – A Portrait in Sound, produced for WAMC Northeast Public Radio in 1995, is a look behind the scenes at the daily operation of a busy taxi company in Albany, New York. The murder of a cab driver, one house up from where I was living at the time, compelled me to find out more about the business. Walking into Capitaland Taxi in 1995, every stereotype about cabbies from film and TV came to life in living color – and smell in some cases. Taxi companies are indeed the last port of call for many who have been customers in the Hard Luck Café. However, at the same time you’ll find educated and articulate rugged individualists, such as Phil, interviewed for this piece, who are a match for any philosophical raconteur. Phil bummed around Europe in the 1970s before landing in Albany, getting married, and raising children – all the while driving a cab in the heart of the bustling capital of New York State. Phil personifies the very ideal of the philosopher-cabbie and shares a street-level view of our common humanity as fellow travelers in life. The audio and video quality is relatively low-grade due to the source video tape being nearly twenty years old, and recorded off television. I present it here from my own archives as a relic of historical curiosity. It is not available on any media currently in print. Rarely has an individual as cool and elegant as Duke Ellington ever graced the stage, and this rare clip amply shows that. Ellington makes his self-described television debut as a vocalist in “Moon Maiden,” a piece commissioned by the American Broadcasting Network (ABC) on the occasion of the 1969 Apollo 11 Moon landing. 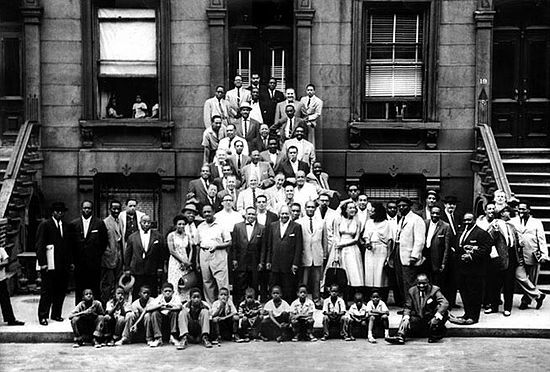 There is a studio recorded version of “Moon Maiden” available on the album The Intimate Ellington (2006); however, it is much slower, almost a spoken word performance. In this clip, Ellington brings a light, lyrical, jazzy touch to the first-ever public performance of “Moon Maiden.” Ellington’s vocals suit the piece, but don’t quit your day job just yet Duke. The ABC news anchor introducing Ellington is Frank Reynolds. Also of interest are the full-sized replicas of the Apollo 11 Command Module and Eagle Lunar Lander in the studio. It gives perspective on how small a space the astronauts lived and worked in on their voyage. The audio and video quality is relatively low-grade due to the source video tape being nearly twenty years old, and recorded off television. Therefore, audiophiles seeking a higher quality recording will be sorely disappointed. I present it here from my own archives as a relic of historical curiosity. At the height of the Apollo program, NASA considered several plans for space station designs that utilized the technology of the era for long-term orbital platforms. 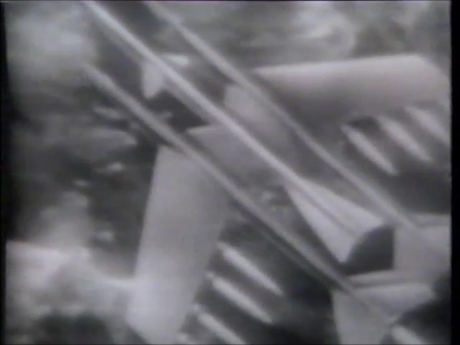 While NASA eventually opted for the Skylab design, this short video clip from ABC News coverage of the 1969 Apollo 11 Moon landing describes an innovative space station design that can be launched in and deployed from a Saturn rocket. Introduced by anchor Tom Jerriel and featuring reporter Bill Owens. The audio and video quality is relatively low-grade due to the source video tape being nearly twenty years old. Just one of the many obscure videos I recorded off the television over the past three decades.